GUATEMALA CITY – In Guatemala, the rule of law hangs in the balance following the ouster of human rights champion Claudia Paz y Paz from the post of attorney general. A right-leaning former Supreme Court justice, Thelma Esperanza Aldana Hernández, was named as Paz y Paz’s replacement, and may be about to roll back recent gains against corruption and human rights violations, analysts say. “The circumstances of Paz y Paz’s removal and Aldana’s selection are irregular,” Angelina Godoy, director of the Center for Human Rights at the University of Washington, said. Aldana took office on May 17. Paz y Paz was removed from the job seven months early by a controversial court decision in early March. That ruling is widely believed to have been instigated by a right-wing coalition of businessmen, ex-army officers and conservative political actors. 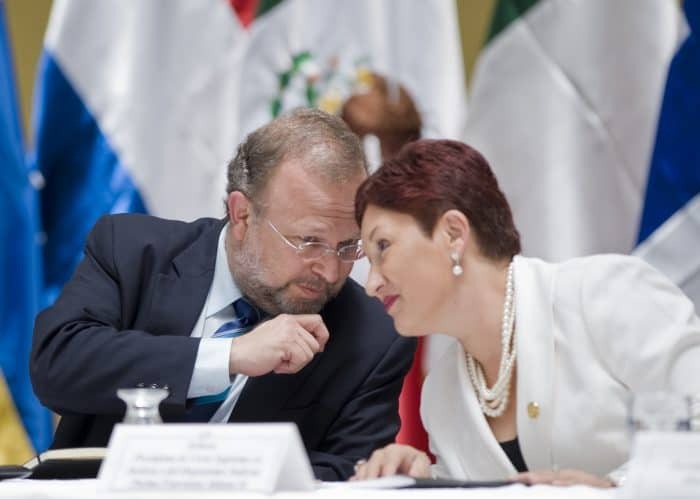 It launched a breakneck selection process for the new attorney general, conducted by a selection committee made up of Guatemala’s top attorneys and deans of law schools. 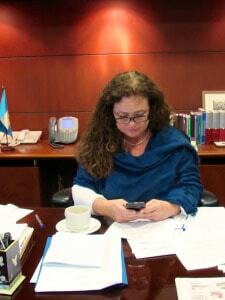 Recommended: Guatemalan Attorney General Paz y Paz: Punished for being effective on big crimes? The selection process, however, proved to be weighted against her. While the committee used a battery of tests to rank each candidate, Paz y Paz was not placed on the final shortlist of six candidates, despite having the second highest score. According to Liliana Gamboa, a program officer for the Open Society Foundation, Paz y Paz’s score was artificially low due to the fact that the committee had excluded her years of experience as attorney general from the scoring process. “She was not granted all of the scoring she was entitled to,” Gamboa said. According to international observers, during the selection committee’s review of candidates, members refused to examine any of the more than 200 opinions Aldana issued or signed as a justice. The irregularities with the process have led many to believe Aldana’s selection was politically motivated. She is deeply connected to the family of former dictator Efraín Ríos Montt and political actors of the conservative Guatemalan Republican Front (FRG) party. 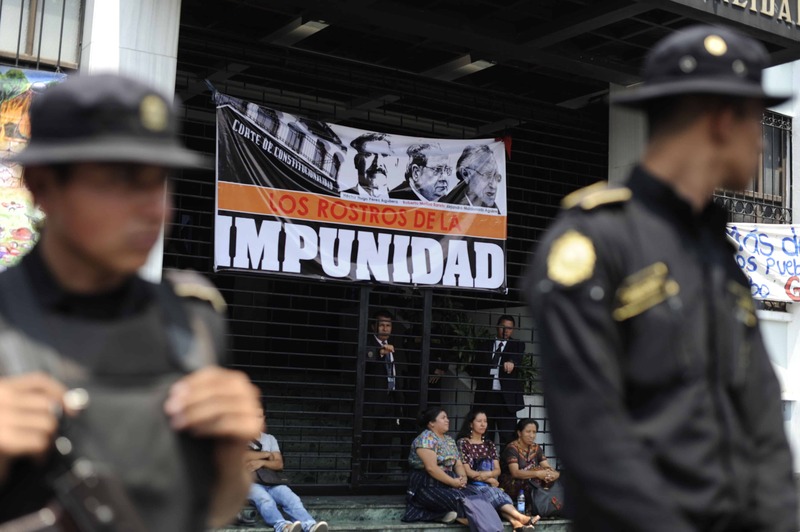 Aldana shows signs of departing from her predecessor’s aggressive prosecution of crimes against humanity committed during the nation’s 36-year civil war. Despite its illegality under the Guatemalan Constitution and international law, Aldana believes amnesty for crimes against humanity and human rights violations “should be analyzed,” according to the online news site Plaza Pública. The Guatemalan Congress also recently decreed that genocide had not occurred during the civil war, a direct contradiction of facts as described by survivors and witnesses. This has many human rights activists and groups worried about the future of the genocide proceedings against Ríos Montt. Yet some kind of lengthy legal discourse about the applicability of amnesty may not even be necessary for Aldana to save the 87-year-old former dictator from prosecution. “She can just choose not to prosecute it,” Michael Allison, associate professor of political science at the University of Scranton, said. Benjamin Reeves is a freelance journalist based in Antigua, Guatemala. Follow him onTwitter and at his blog.